Where did the centaur originate? One legend states that it was the result of an unholy union between a human and an earth elemental, while another theory is that it was the result of genetic experimentation in Atlantis or the Pre-Flood world. Except for Chiron, most centaurs were warlike and troublesome and enjoyed drinking and revelry. 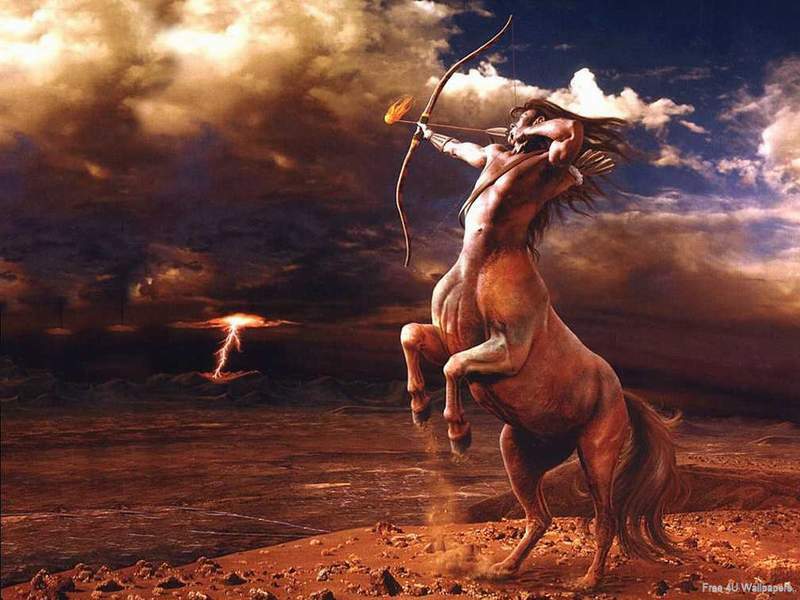 This half-horse half-human creature, which represents the struggle between morality and base desire later became the astrological symbol for Sagittarius.